R.I.P. 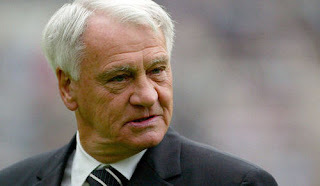 Sir Bobby Robson - resident for a number of years in Mayfair Avenue, Worcester Park during his time with Fulham Football Club. He even turned his hand to other sports, playing for Worcester Park Cricket Club's first team in the 1960s at their grounds by the station. Now that would have been worth seeing!